Summer Term 2: 7/1/19 - 7/27/19. Most day classes meet two hours and ten minutes per day, Monday through Friday. Dates of importance, including ending class dates and the final examination schedule, are listed in the 2019 Summer Session calendar. Please note that online classes are not open to non-degree seeking visiting students. However, all other traditional classroom courses may be taken by visiting students. 3. Register for your classes. 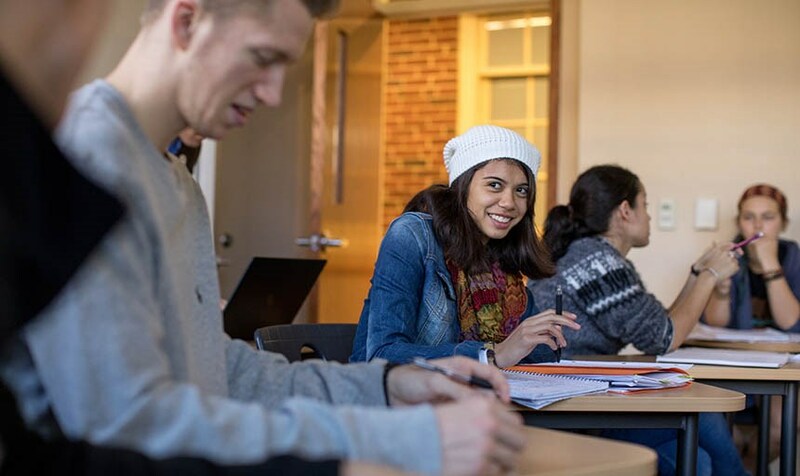 Your enrollment in Roanoke College's Summer Session may allow you to examine a variety of subject areas, get an early start on your college career, accelerate your present program of study, or have the opportunity to improve your GPA by studying in a small-class environment. Also, it might allow you to attend a later term with a reduced academic course load. Fulfilling entrance requirements for professional schools and renewing teaching certificates are other excellent reasons for attending the Summer Session. Because classes are offered at varied times, you have flexibility in scheduling your classes, with ample hours for study and recreation. Note that courses are available in three four-week terms and one eight-week term. Thus, many course options are possible. Offerings from the General Education Curriculum are under the subject "INQ". Check the list from beginning to end so you don't miss courses of interest!